The BERG Favorit provides years of fun. 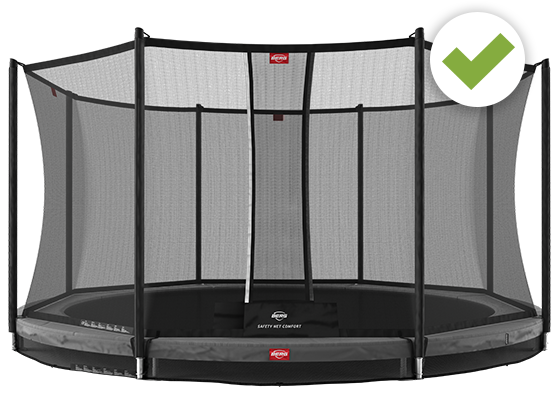 The trampoline has been developed with care and attention, so that both children and adults can jump safely. 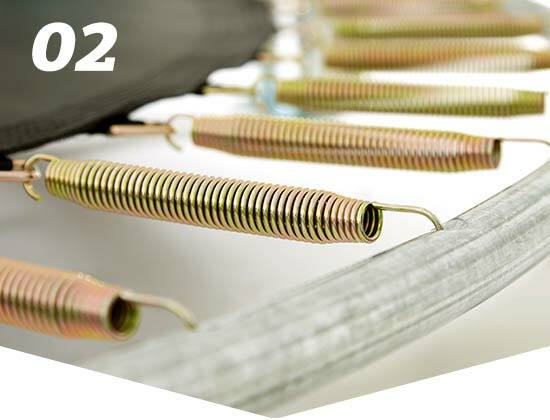 The Gold Spring Solo spring is long, so you can jump better and smoother. 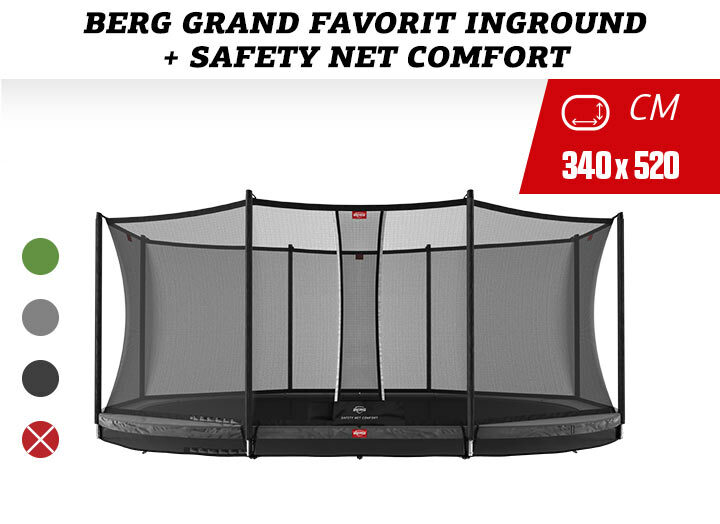 The Safety Net Comfort is extra safe thanks to a self-closing entrance and a protective foam layer around the posts. 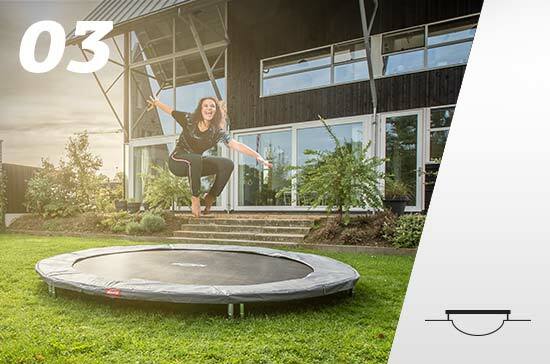 The oval shape combines the efficient strength of a round frame with the large jumping surface of a rectangular shaped trampoline. 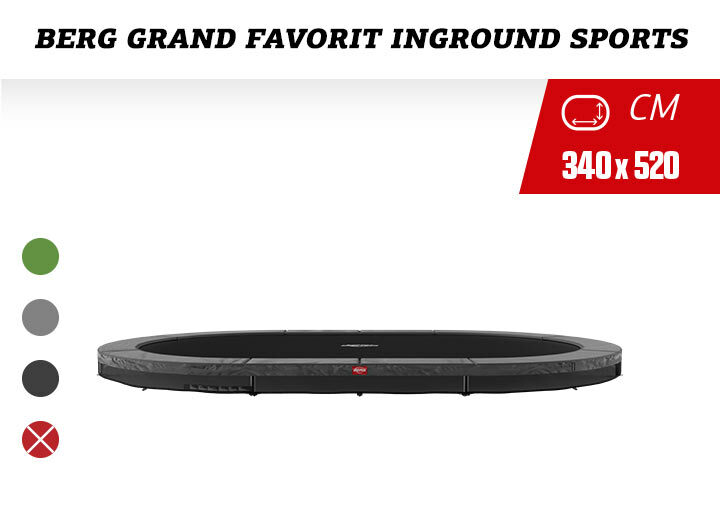 On an oval trampoline you can jump over the entire length. The frame of a round trampoline is very strong. 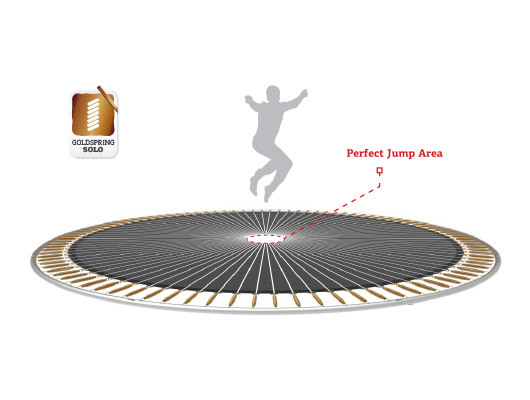 The best place you can jump on a round trampoline is in the center. This is because the tension on the springs and the frame is evenly distributed during jumping. 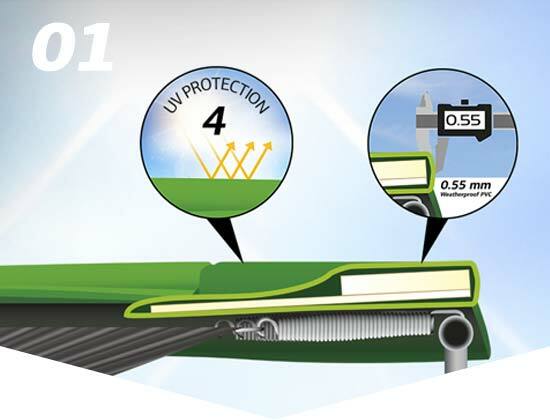 The padding of the Favorit is UV-resistant. The edge is durable due to the superior material and the precise workmanship! The protective edge of the BERG Favorit is extra safe due to the thickness of 30 mm and the width of 380 mm. 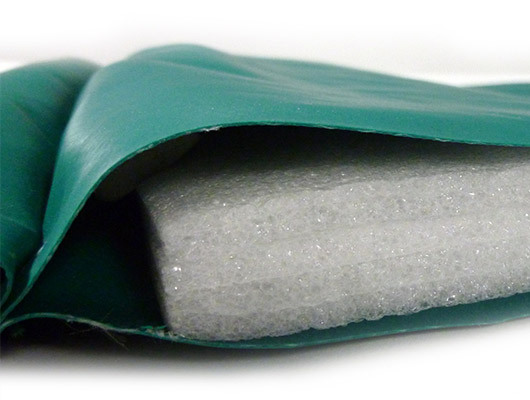 Due to the top and bottom layer of thick PVC, the protective edge last extra long. Thanks to the GoldSpring Solo springs, you can enjoy some great trampolining on the BERG Favorit. The protective edge is an important safety feature of the trampoline. That’s why the Favorit has a protective edge that is 20 mm thick and 380 mm wide. Good protection due to the 20-mm-thick and 38-cm-wide protective edge. 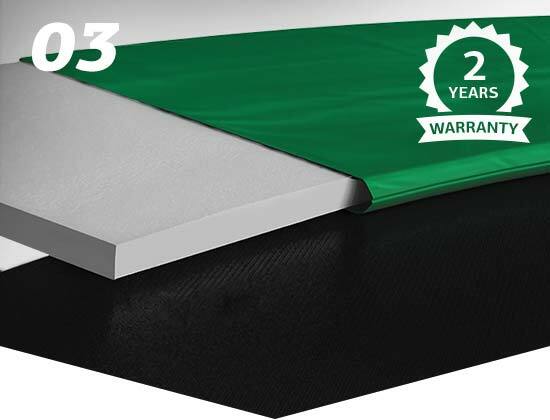 Extra long lifespan of the protective edge due to an upper and lower layer of no less than 0.55-mm-thick PVC! A BERG Favorit lasts for years due to the excellent quality of the frame. 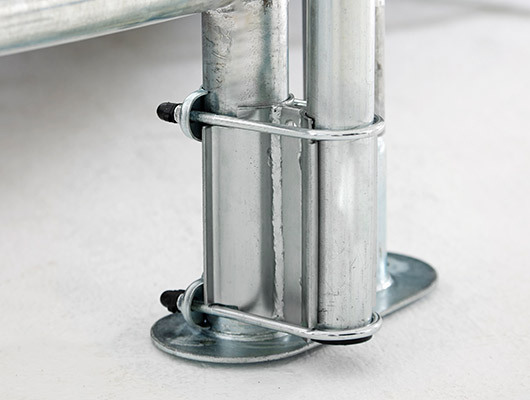 The frame is galvanised and powder coated, which ensures corrosion resistance. 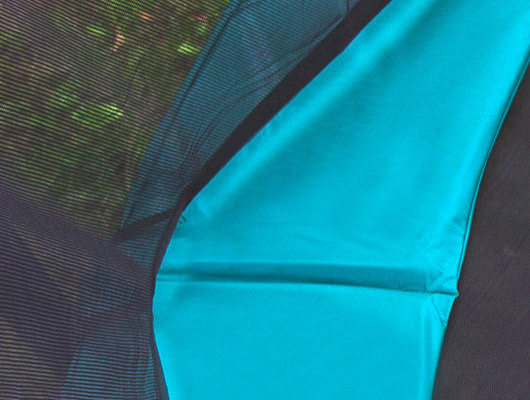 The frame of the Favorit trampolines has a very long lifespan. 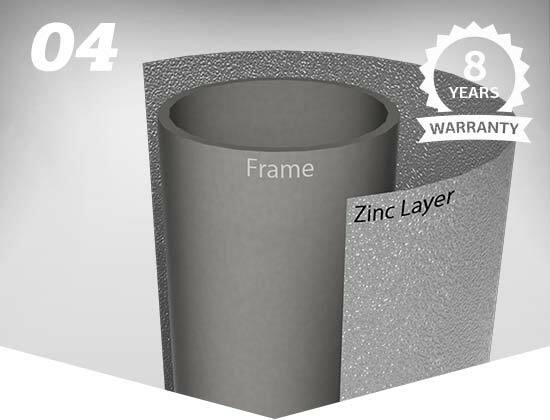 This is due to the large diameter of 42 mm and the wall thickness of 2 mm. The frame is therefore extra rust resistant. 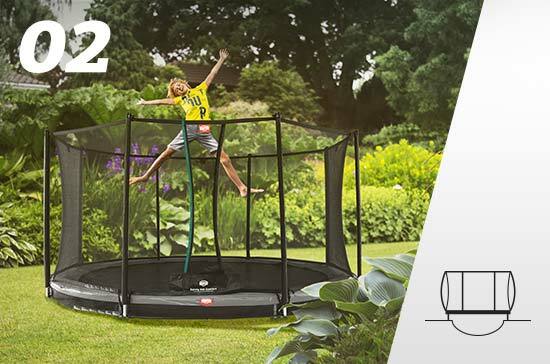 If you prefer not to dig a hole in your garden, a high trampoline is a shure choice. 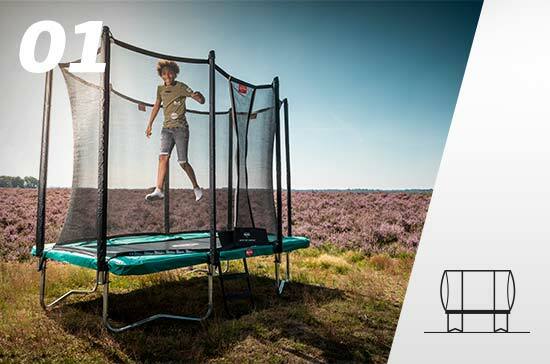 A high trampoline is easy to install, to place where you want and is also clearly visible in your garden. 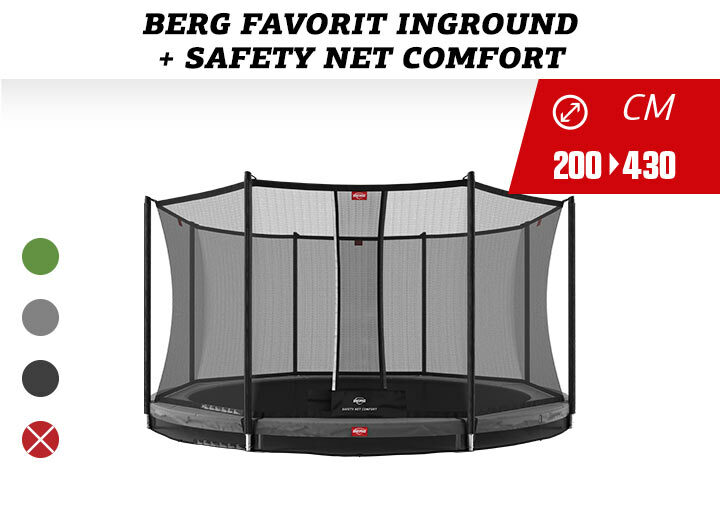 An inground trampoline with safety net has a low entry, making it easy and safe to enter the trampoline. 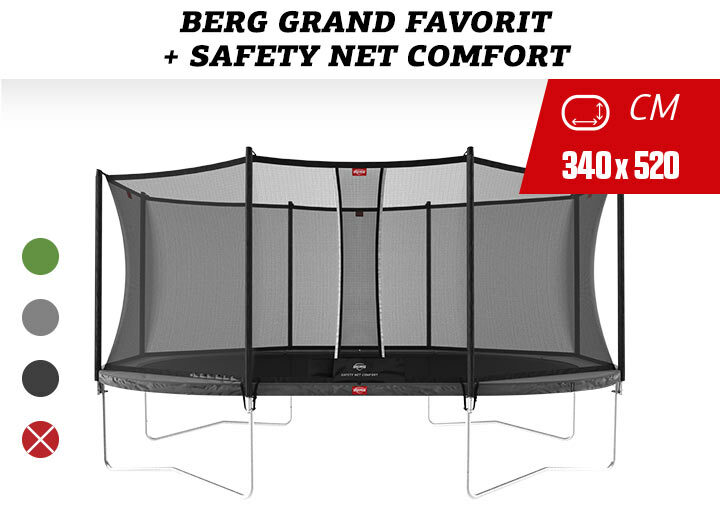 The trampoline is less visible in the garden than the high trampoline version. 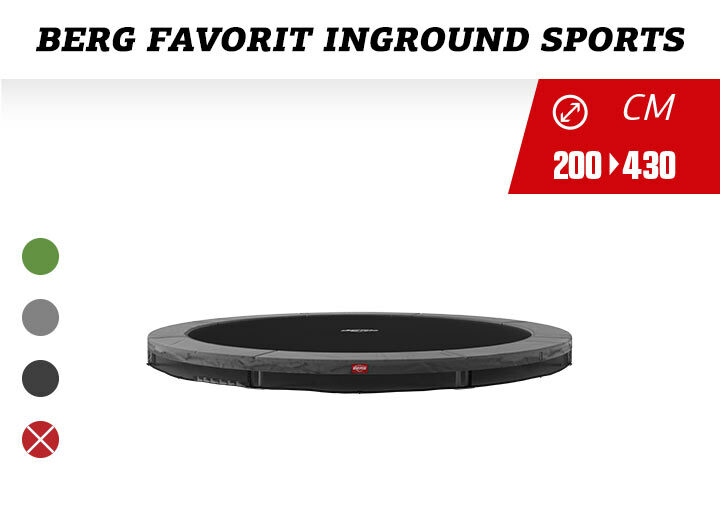 The Inground trampoline without safety net (sports) has a discrete profile. 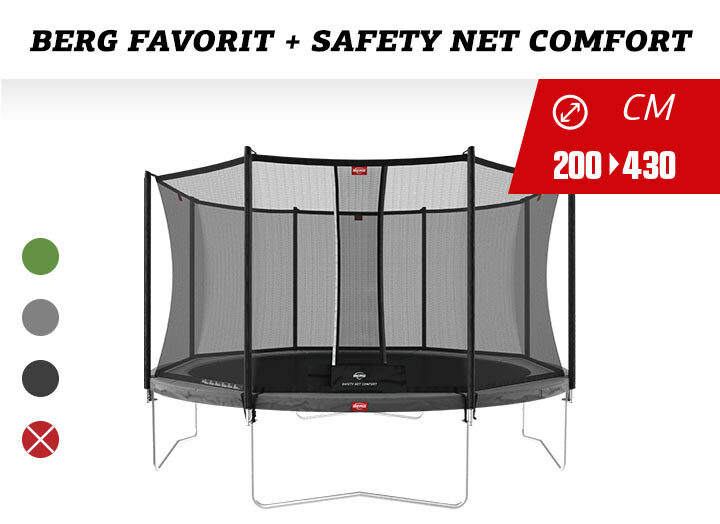 Due to the low step of 20/27 centimeters, the trampoline is easy and safe to enter. Which BERG Favorit will you choose?